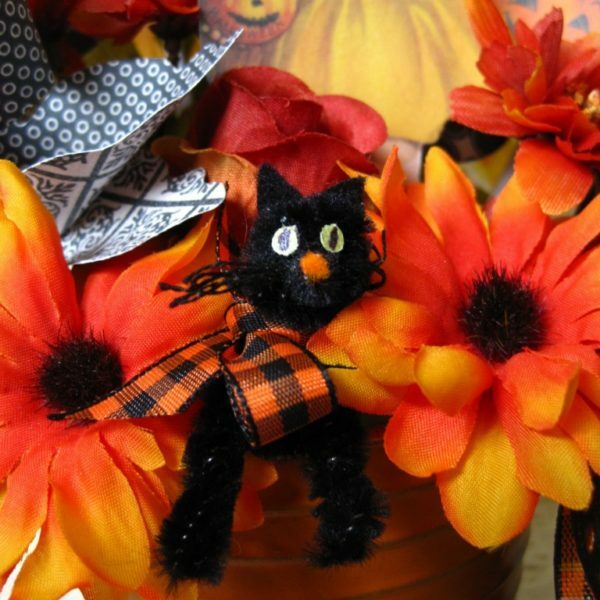 These Halloween treat bags area great way to make Halloween gifts ahead of time. Halloween is the first on my list. I wanted to create some little goody bags for my son’s soccer team. So I created these fun little treat bags based on a printable Halloween set. 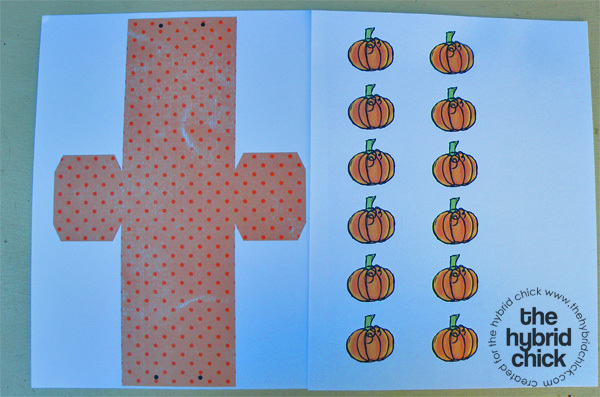 First, pick up some Halloween themed printable papers or craft papers. Choose your favorite patterned paper and print 12 favor bags and designs onto cardstock. Next, stamp 12 flourished circles in black ink onto an 8.5″x11″ cardstock. 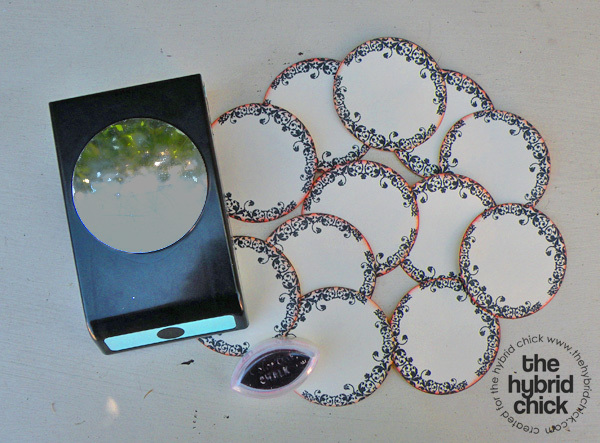 Then, use a circle punch to cut out each flourish and ink the edges of each circle. I used a punch from EK Success that measures 2.5 inches wide. 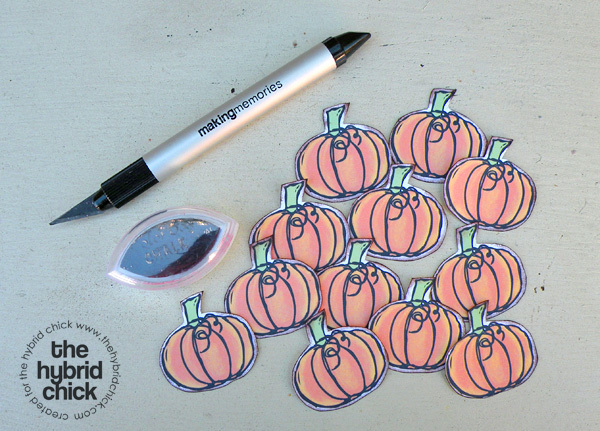 Ok, now set all the circles aside and get ready to carve some pumpkins! 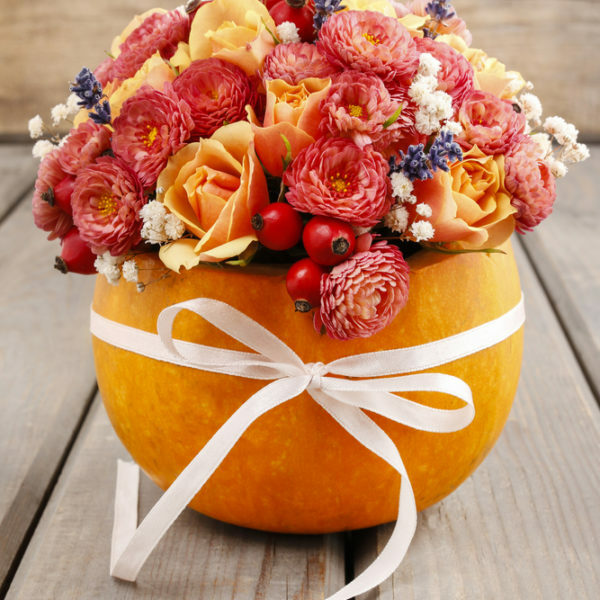 Get out your X-acto knife or small scissors and cut out each pumpkin. Ink the edges and set aside. 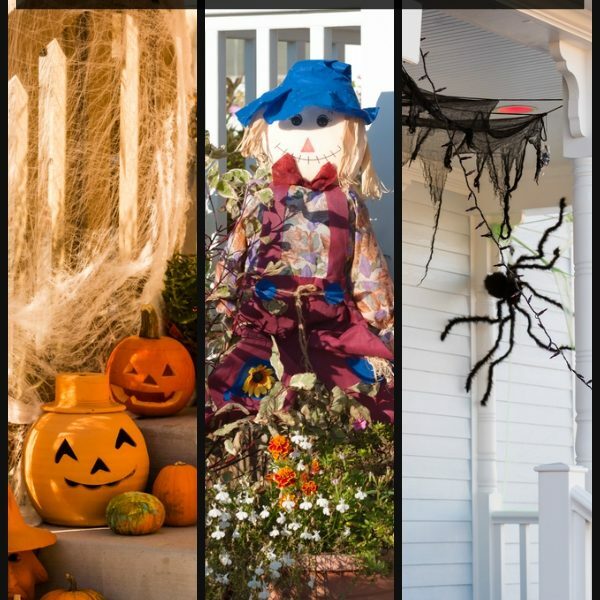 Gather all your treat bags, cut them around the edges, and grab your scoring board. If you don’t have a scoring board, that’s alright! 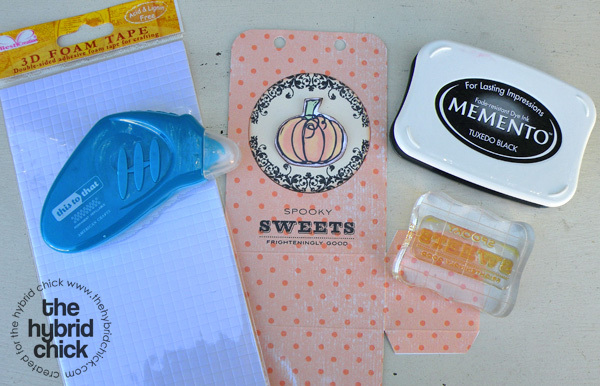 You can use either a straight edge ruler or a good steady hand to score the treat bags. Now grab your hole puncher and punch two holes at either side of the treat bags. For an added touch, I used a rounded corners punch from Fiskars to soften the edges for the little kiddos (we don’t want paper cuts on those little hands). Ok, we’re almost done! 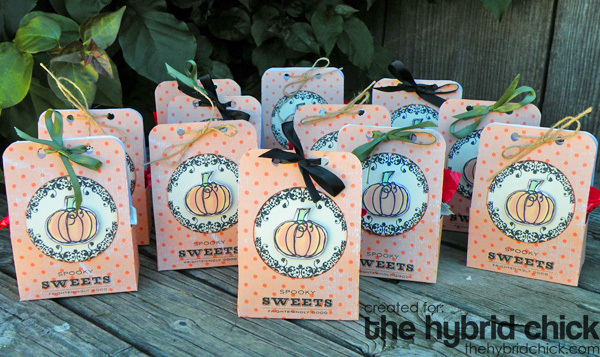 Stamp a fun Halloween sentiment on the front side of your treat bags at the bottom edge. 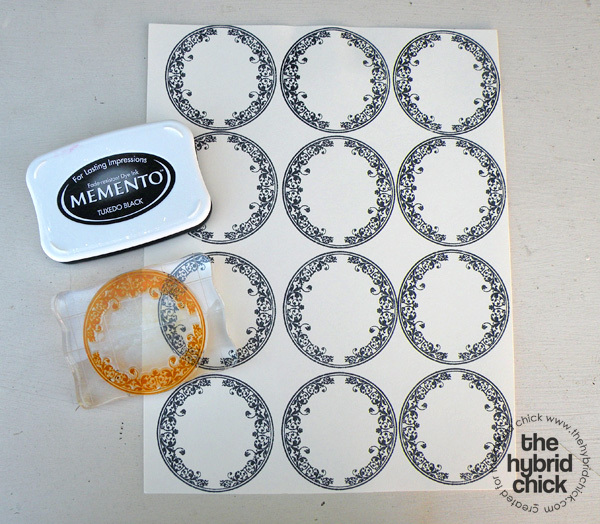 Use double-sided adhesive to adhere circle flourish onto center of treat bag. 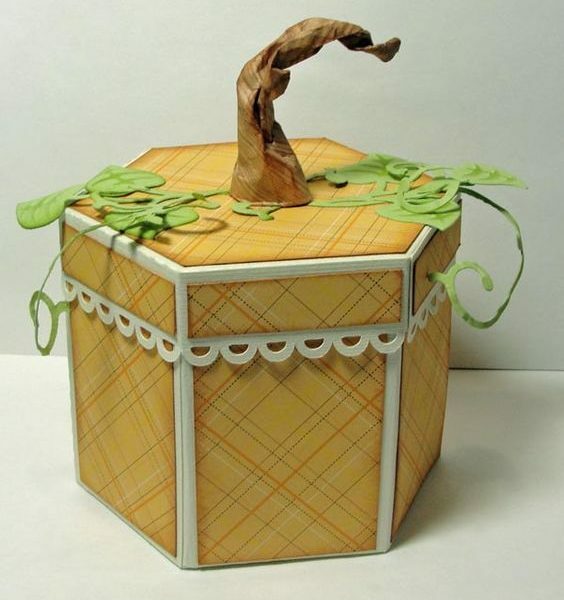 Use foam tape for dimension to adhere pumpkin to the center of the circle. Now assemble the treat bags using double-sided adhesive. I used “This to That” from American Crafts. Fill the treat bags with your favorite Halloween candy (chocolate is a must have). And finish it off with a simple bow! Now you’ve just made treats for all the kiddos and there will be no sad faces for Halloween! previous article: Vintage Halloween Tags!